It is never too late to have the smile you have always wanted. Braces today are smaller and less noticeable than ever before. If you are not interested in braces, ClearAligners/Clear Correct may be the option for you! Orthodontic problems left untreated can lead to abnormal wear on the chewing surfaces of your teeth. Crooked teeth are much harder to keep clean than straight teeth. Bad bites also make it difficult to chew and to properly restore teeth with fillings or crowns. Orthodontic treatment can correct these problems. Appearances count! In today’s society, good looks are important in just about every area of life. Since upper and lower jaws and teeth make up a large percentage of your face, straight teeth that fit together properly can greatly improve your facial appearance and your confidence. 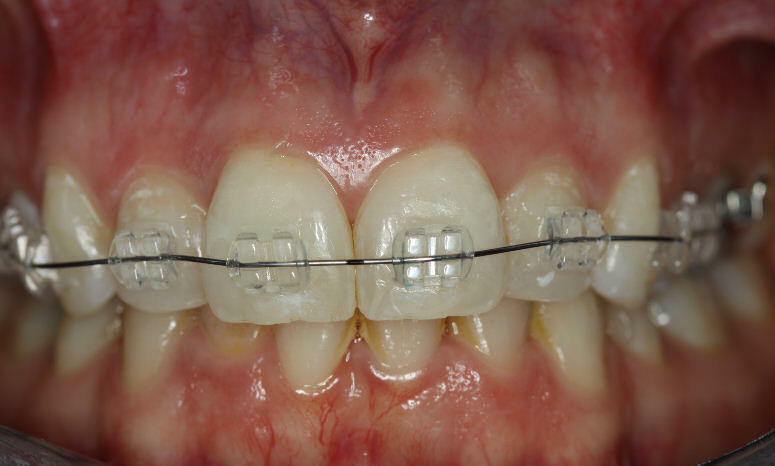 Orthodontic techniques are sometimes different for adults than for children since most orthodontic problems are easier to correct in growing, developing children. Adult dental problems tend to be more complicated since they have had a longer time to develop and growth has been completed. Yet, adult orthodontic problems can still be corrected, but they require more treatment time. Adults have more teeth straightening options today than ever before. Dr. Staggers offers clear braces, Clear Correct, Invisalign and adult short-term braces, as well as traditional full-mouth metal braces. There are great options for adults who don’t want the appearance of traditional metal braces. Learn more about adult orthodontic braces, call board-certified orthodontist Julie Ann Staggers DDS, MS at 540-722-6700, and click on our braces before and after gallery. Visit us if you live in or around Strasburg (Shenandoah County), Stephens City, Winchester (Frederick County), Berryville (Clarke County) or Front Royal (Warren County).